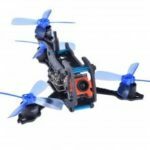 Flypiggy 95mm is a micro brushless FPV racing drone features the excellent durability and high performance. 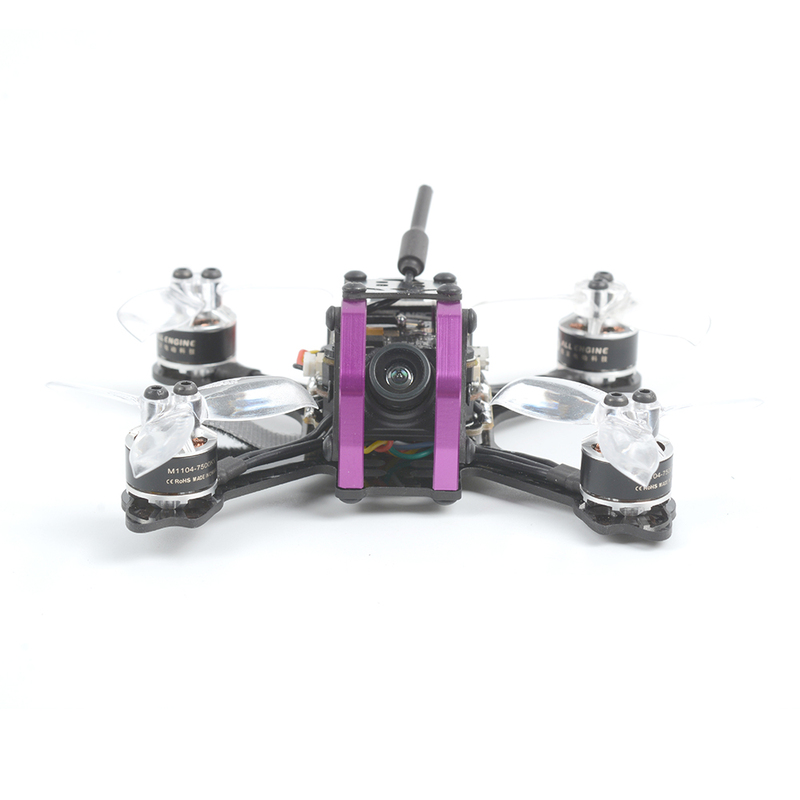 The purple aluminum alloy parts strengthen the frame, while the ultra mini brushless motor has a long lifespan. 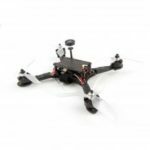 The palm-sized racer uses F3 flight controller with OSD, so you can have the OSD overlay of voltage, attitude, flight duration, flight mode and so on. 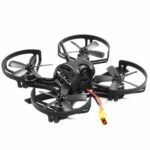 The 4-in-1 BLHeli – S ESC ensures the responsiveness of the motor and makes the thrilling freewheeling easily achievable.